The Season Opener Report – How Did You Do? The tribs are open in Eastern Ontario for the only fish that matters. That means that a lot of us headed to the mighty Riddooo as my friends from south of the border seem to say. Conditions were tough with high pressure, cold, and blue skies. Reports of fish were scarce as well and lots of people I spoke to didn’t even see many. 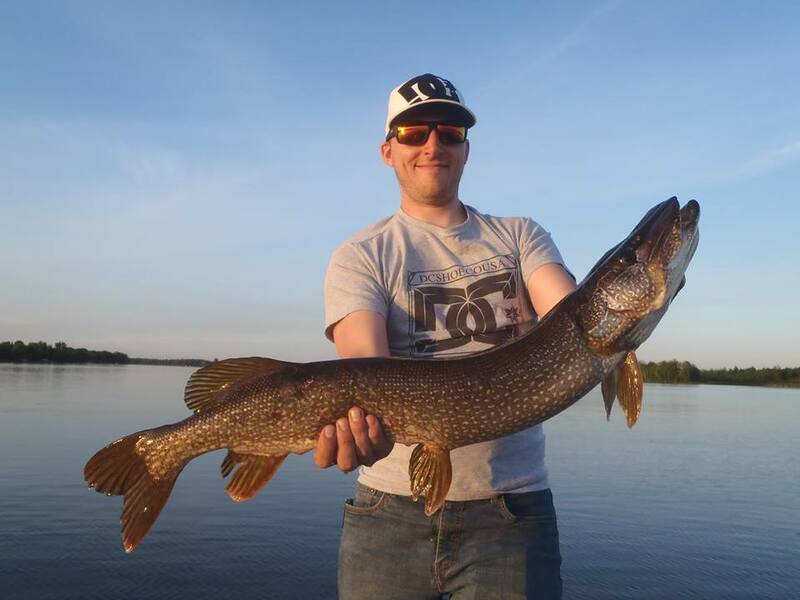 Keean and Phil scored a pair early on Saturday, the Tom’s got one on the weekend, and the only one I saw over 40 inches was caught right across the river from my clients and I in the middle of the day. It was a wide load 45.5 and kudos to the young guys who treated the fish like gold in their small boat. They even had a brand new cradle! We managed 8 up to the boat and Kieth scored his first ever figure eight fish at the side of the boat on his fifth time around. 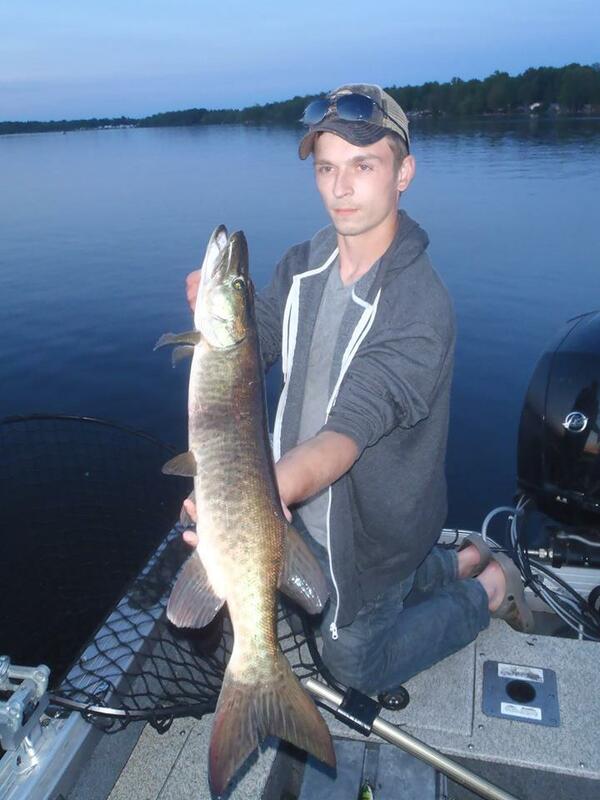 Nick caught a nice pike for the Rideau ( I can’t believe I posted a picture of a pike….). Ironically this fish probably would have won the $1000 at the Wendover pike tourney this past weekend. Wrong river. How did your opener go? Please let us know and post a pic if you can. Also wanted to send a shout out to my buddy RJ. RJ bought Fish-Hawk.netthis past winter and will bring an element of class, enthusiasm, and outdoor expertise to this forum that can only benefit all outdoor enthusiasts in our region. The reach of this site is far and I have no doubt that Rob and Birdee will turn this back into the sounding board the fishing community needs. Check him out and say hello. ← The season is finally here!